Day 19 wasn’t so much a “clean slate”. It was more like a food extravaganza. Between the liver smoothie, the french fries, the red wine, and the swedish banana dessert… I’d say we were off in some unfamiliar territory. 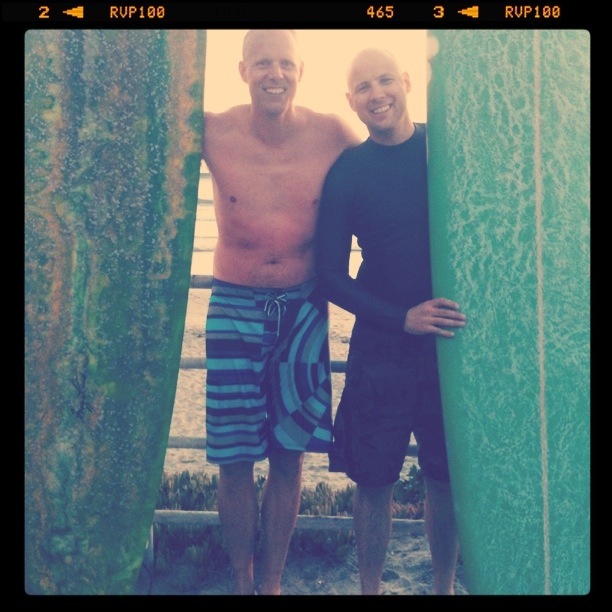 My husband and I drove down to San Diego to visit some close friends for dinner. They made so many delicious things, I had to partake in them all. Johan’s culinary delights (and Tina’s salad!) could not go to waste. Johan had a little dessert surprise for us which he called “Swedish Banana Dessert”. It was as good as it sounds… Trust me. He was also kind enough to purchase some dairy-free chocolate and ice cream for me. Thank you Johan and Tina for a great evening! You also may have some questions regarding the smoothie down below… Yes, there’s liver in it. If any of you are lucky enough to follow Liz Wolfe and Diane Sanfilippo on their podcast, Balanced Bites, you would have heard about Liz’s raw liver smoothie. It purportedly gives you an insane amount of energy due to the high concentration of B vitamins. She, however, likes to blend her liver with egg yolk and raw milk. No thank you to that. I decided to make mine a bit more palatable by adding using banana and almond milk. Not sure if it’s just placebo but my mind felt extremely sharp yesterday. More on that later. Dinner: 6 oz. grilled lamb kabob, grilled eggplant, salad greens with tomatoes, cucumber, and red onion. Dessert: 4 oz. 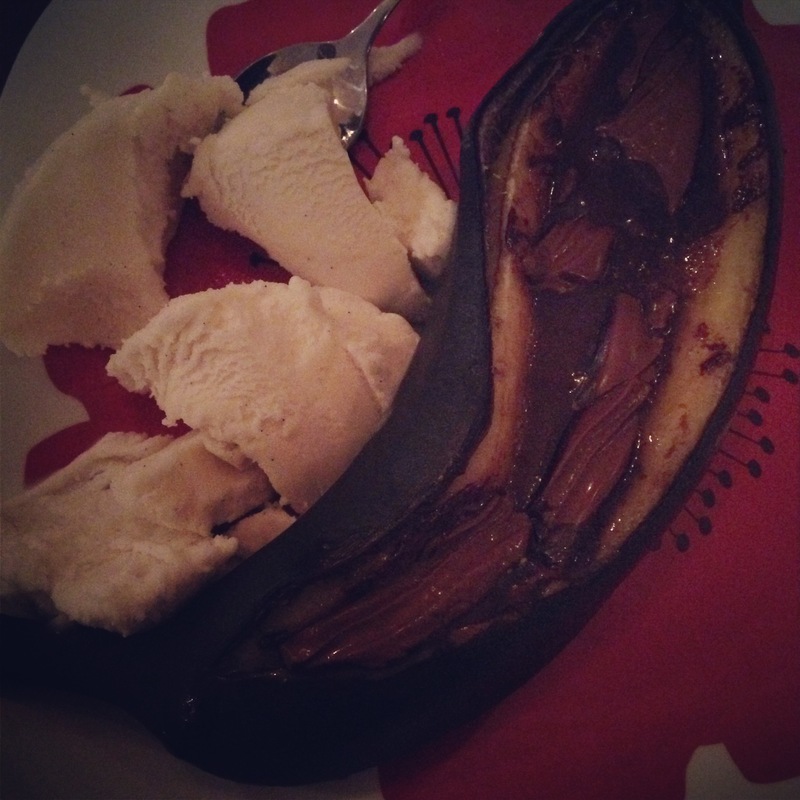 red wine, Banana stuffed with dairy-free chocolate and vanilla coconut ice cream.